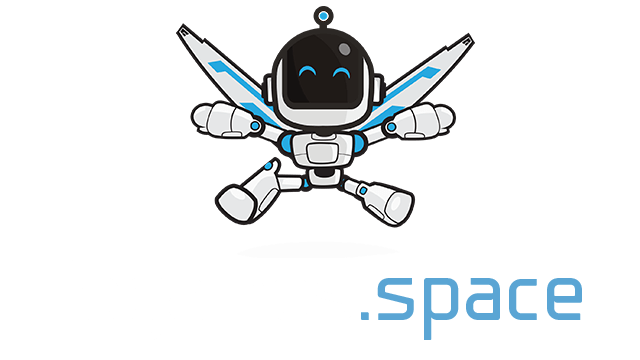 PAC-MAN.io | Play PAC-MAN.io free on iogames.space! As PAC-MAN you eat pellets, fruits and ghosts. 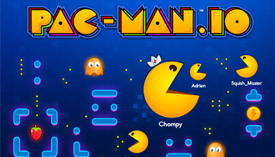 Defeat real players around the world and become the biggest PAC-MAN of the maze! Avoid ghosts or become a ghost yourself! PAC-MAN is the first game icon and one of the most popular video games in arcade history who has been inducted to World Video Game Hall of Fame. Reminisce the countless hours and quarters spent outrunning pesky ghosts and chompin’ on dots? Now you can have the same arcade excitement by playing PACMAN.io! Use the mouse pointer to move around the maze eating pellets. Grow bigger and eat the smaller PAC-MAN that are running around the maze You can use Left-click or space to dash for a speed boost. Eat all of the dots to advance to the next stage. Go for high scores and top the leaderboard! Gobble Power Pellets to weaken enemies temporarily and eat them up before they change back. Avoid Blinky, the leader of the ghosts, and his fellow ghosts Pinky, Inky, and Clyde, or you will lose a life and it’s game over. Your aim, is to become the biggest PAC-MAN on the leaderboard, do this by avoiding the bigger PAC-MAN.io Players, eat the smaller players as well as eating pellets and fruit to grow and become the biggest PAC-MAN in the maze! Use the maze to your advantage by avoiding bigger PAC-MAN and Ghosts. Grab as many Pellets as you can eat, avoid getting trapped in corners and make sure you always have an exit from your opponents.